Behind the holiday sequin bottle cover is the same Swedish vodka in every bottle of Absolut. It is made exclusively from natural ingredients, and unlike some other vodkas, it doesn’t contain any added sugar. In fact, Absolut is as clean as vodka can be. Still, it has a certain taste: rich, full-bodied and complex, yet smooth and mellow with a distinct character of grain, followed by a hint of dried fruit. All Absolut is made in the same distillery, with wheat from the same fields, and water from our own deep well. Releasing the end of year limited edition holiday bottle is a celebrated tradition at Absolut. With this cutting-edge design, you can add excitement to your holiday parties by creating your own messages for the coming year using the sequins. In 1879, Lars Olsson Smith pioneered the continuous distillation with which he made Absolut Rent Brännvin. Instead of the usual three or four times, the vodka was distilled an infinite number of times. 100 years later, it was reintroduced as Absolut. Just as then, Absolut is produced in Åhus in Southern Sweden. This is also the region where, L.O. Smith was born and where the main ingredients wheat and water come from. And since the way Absolut is made won’t change, neither will the true taste of our vodka. In 1879 Lars Olsson Smith introduced the process of continuous distillation, making it possible to distill vodka an infinite number of times instead of the traditional three or four. Smith used this process to create Absolut Rent Brännvin, which revolutionized vodka in Sweden. A century later, Smith's vodka was introduced to the world as Absolut. Absolut is still made with the same ingredients in Smith's hometown of Åhus, and its signature flavor remains unchanged by time. 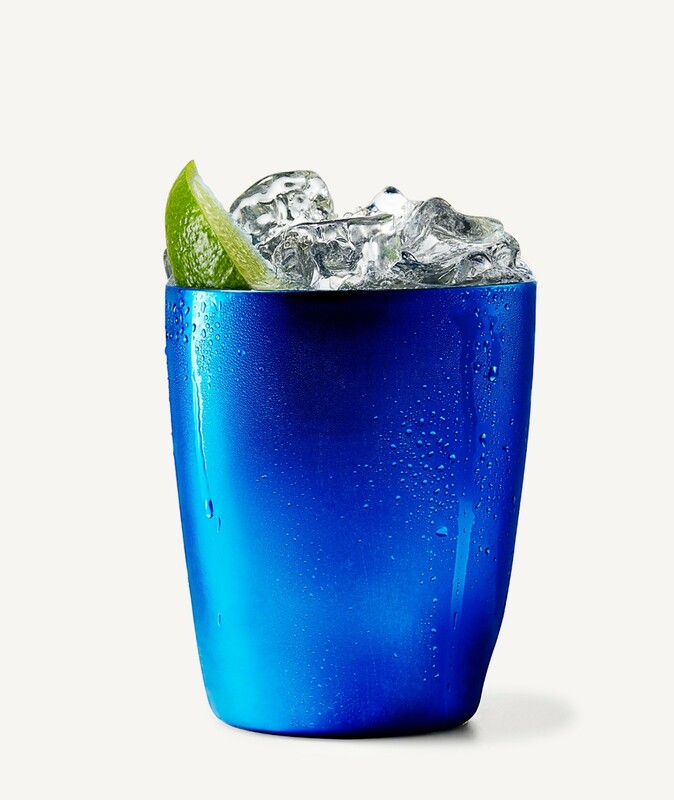 Fill a chilled highball glass with ice cubes (or use a copper mug for authenticity). Add Absolut Vodka and lime juice.